We are offering our first off-road ride of the year this Sunday 17 February. Suitable for those with cycles with tyres at least 28mm wide to cope with riding along gravel bridleways with some muddy sections. Another off-road ride on Saturday 20 April 2019. 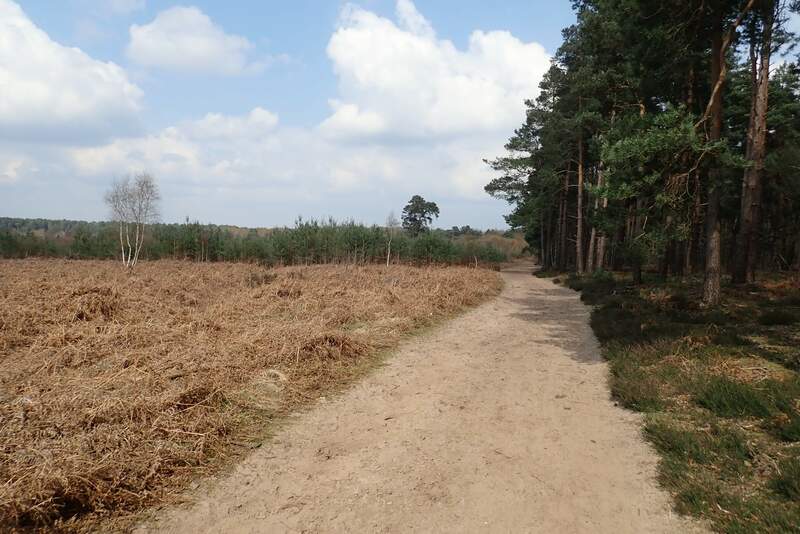 This time venturing across Hankley and Elstead Commons in the Surrey Hills Area of Outstanding Natural Beauty (AONB). Expect some muddy sections and be prepared to walk. Better with wide tyres due to the sandy and loose surface. Lunch at The Little Barn Cafe, Elstead. Meet London Waterloo at 09:20 to catch 09:40 train to arrive 10:29 at Godalming. We'll be following the Elstead Loop of the Ride Surrey Hills routes. Map of the route here.